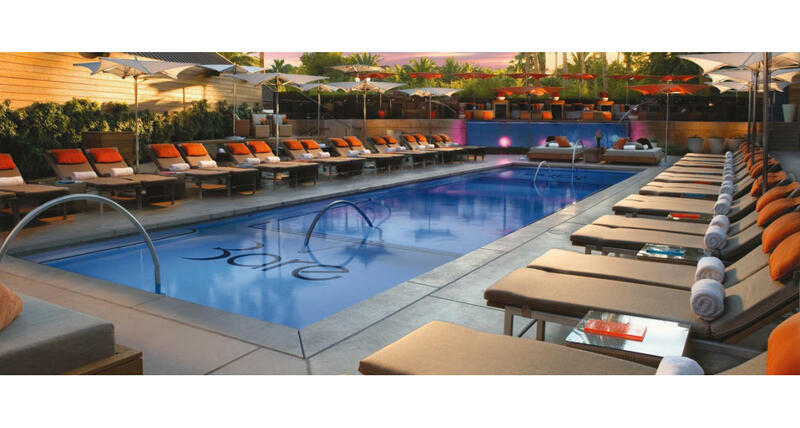 Bare Pool Lounge at The Mirage offers an exclusive adult alternative to the typical Las Vegas pool experience. Imagine the ultimate in poolside pampering – a refined environment, defined by its distinctive contemporary ambiance and ultra VIP service. The DJ-spun music mix sets the mood as guests enjoy European-style sun worshiping secluded amongst towering palms.